1979 Start Warm and Wonderful. 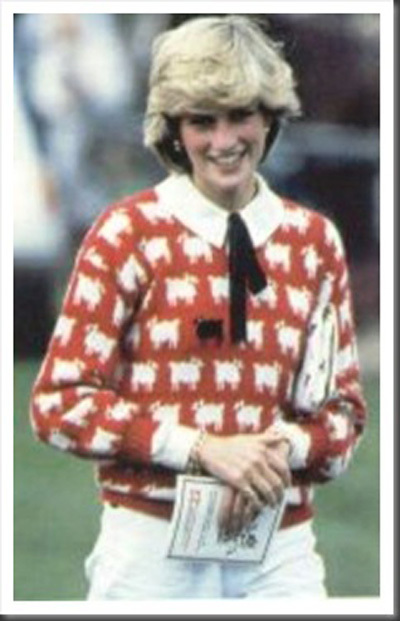 1980 Princess Diana appears in a sheep jumper designed by Warm & Wonderful. 1980 Onwards export to major stores around the world; Saks, Henri Bendel, Barneys, Bergdorf Goodman, The Cross, Nieman Marcus, liberty, Isetan, Mitsukoshi and many smaller stores. 1981 Get a market stall in Covent Garden Market. 1982 Get our first shop in York Rd Wandsworth. 1983 Show in New York for the first time. 1983 Victoria and Albert Museum choose sheep jumper for exhibition and permanent collection. 1984 Stage Much Ado About Knitting, rather too ground-breaking knitwear show at ICA. 1985 Move to huge shop in Camberwell New Rd and are burgled constantly. 1986 Appear on Police 5. 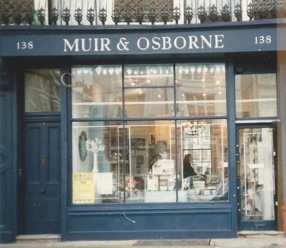 1987 Exhausted by jokes about name, change to Muir and Osborne. 1988 Show at London Designer Collections, British Fashion Week. 1990 Move to Regent’s Park Rd, Primrose Hill open shop selling wild and bizarre selection of goods; jewellery, Hungarian A level physics aids, Pixi lead figures from Paris, pornographic engraved milk bottles, hand painted lustre plates.etc. 1996 Bennett Coat chosen by Victoria and Albert Museum for exhibition ‘The Cutting Edge’ and permanent collection. 1999 Muir & Osborne cardigan stars in ‘The Truman Show’ as important plot device. 2001 Moved business to Brighton. 2002 Won UK Fashion Export Small Business Award. 2007 Pet Heaven published by Quadrille. 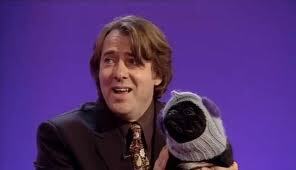 Anti-firework dog balaclava appears on Jonathan Ross show modelled by his pug. 2009 Pet Heaven published by Taunton Press in US as Pet Projects. Appear on Martha Stewart Show. Sheep jumper makes a comeback. 2010 Best in Show knit your own dog published by Collins and Brown. Our Jack Russell appears in Vogue. For one glorious moment we get to no 1 in the Sport section of Amazon, beating both the Stig and a cricketer. 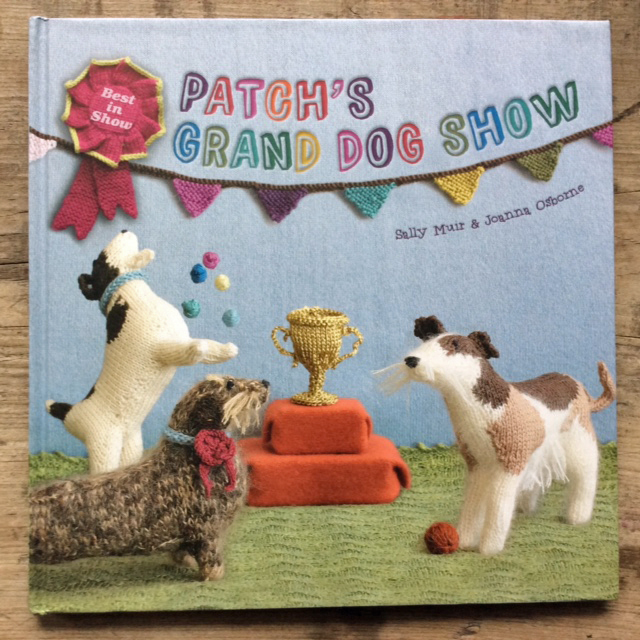 Best in Show published by Black Dog and Leventhal in the US as Knit your Own Dog, for another glorious moment we beat Cesar Milan god of dog handling to the no1 spot in the Amazon Dog Care section. 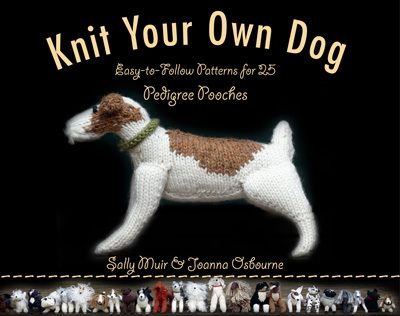 2012 Publication of our third book in the Best in Show series BEST IN SHOW – 25 MORE DOGS TO KNIT. We make it to the Daily Mail sidebar, just above Amy Child’s vajazzled onesie and something about Lindsay Lohan. 2015 We stage an art DOG SHOW in May during the Festival, part of Brighton Artists Open Houses. 4,000 visitors and hundreds of dogs visit and we are runners up for Best Open House, ensuring our return next year. 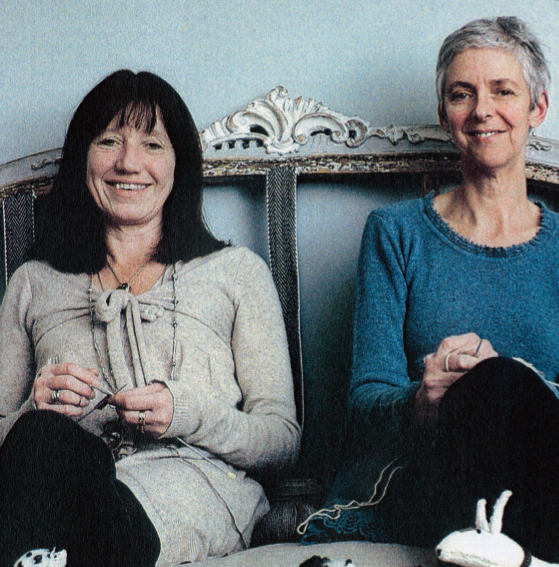 2015 KNIT YOUR OWN DINOSAUR is published in June to coincide with release of Jurassic World.